Months of waiting are now over. The 2018 Global Gaming Awards London have been announced. After more than a hundred self-nomination submissions and also recommendations from the esteemed Nomination Panel, the final nominations in each of the 16 categories have been decided. It is going to be the best day for some of the great hard workers in the gambling industry. It has been the Judging Panels job to cast their votes and crown the winners over the last two weeks. 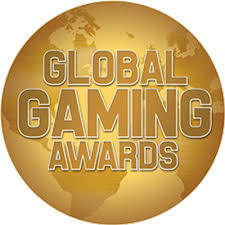 The final votes are being counted by KPMG, which has been in partnership with the Global Gaming Awards for years. The nominees reflect the diversity that is in the industry. The GGA London 2018 champions are the hard work of a great number of sports betting operators. They are all from different retail sites to online sportsbooks. Moreover, they show how imperative this vertical is especially in the gambling industry. The importance of digital gaming to the gaming industry is recognized. Online casino, poker, and bingo sites have their own categories. The services that withstand the ecosystem is as vital as the gaming operators. This is the reason why awards for the Corporate Services Supplier and Payment Solutions take place; as a recognition of their hard work. Business leaders are also get recognition for their amazing leadership within the business and the industry. However, the past year was very hectic, and a lot of changes took place within the gambling industry. This is one of the toughest times for the judging panel. The ceremony will take place in the heart of London, the city’s most iconic venue, The Hippodrome. Attendees will get to enjoy stylish champagne on arrival. Check out some of the categories shortlisted below.